Hailing from Halifax, Massachusetts, Jim from Beantown Home Improvements, Inc recently completed his Fypon balustrade project. 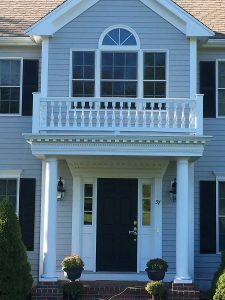 Perfectly placed in the front of the two-story home, the balustrade is an additional enhancement to the entry of the house. It is a wonderful compliment to the already present crosshead and round columns. Simply put, Jim’s house already looked quite lovely beforehand, but the balustrade was the piece de resistance! 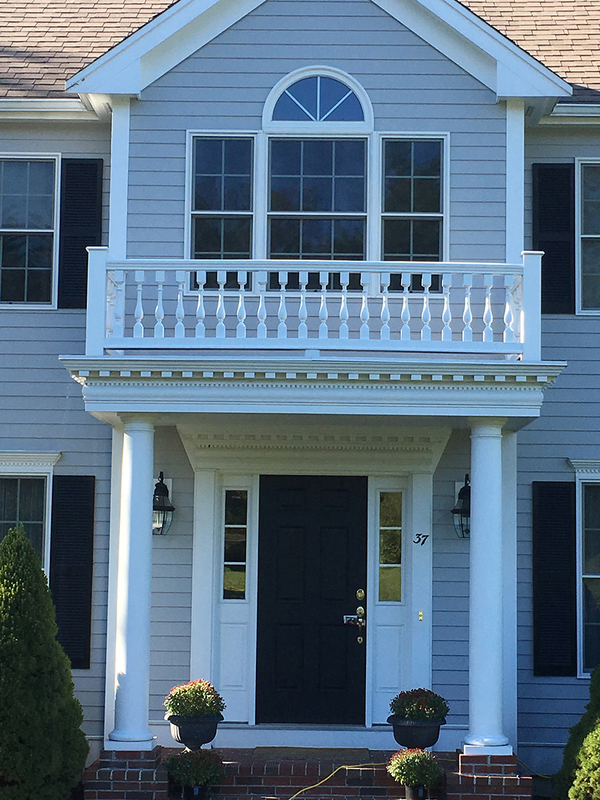 Fypon products are affordable and highly durable to the extreme weather present in Massachusetts. 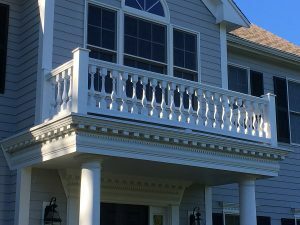 First, the balustrade is composed of high-density urethane material that can be used either inside or outside of the home. This particular material will outlast resin, plastics, wood and aluminum material balustrades. Additionally, the balustrade will not crack, warp or split; thus making it a low maintenance product. Finally, the balustrade is lightweight and is easy to install! 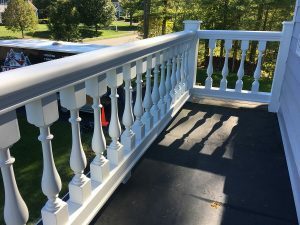 The combination of all of those qualities make for the Fypon urethane balustrade system a perfect fit for any homeowner. Check out full collection of balustrade and railing via the link below!